Mobile Internet marketing has become a major buzzword in the internet marketing community. Everyone is talking it up and hyping the latest product designed to help website and business owners to increase their level of exposure on different mobile marketing channels. But why is it worth it? In this article we will discuss a few reasons mobile marketing will continue to become ever more important in the coming years, but first, let’s talk about how we got here. It was not that many years ago that cell phones were a rarity. Do you remember the big car phones everybody had for while? We have definitely come a long way since those days! As cell phones became more popular, they also started to get smaller. We were able to keep them in our pockets after a while, and the battery life kept getting better. The signals and the networks continued to grow to the point that we expected our phones to work virtually anywhere. Once cell phone networks began to get more sophisticated, they started rolling out new features. The first, and still ever so popular, was of, course, text messaging. Many of us now use our phones to send text messages just as much as, if not more than, we use them to actually call someone. Then, as the phones became even more like computers, they began to get more and more features, such as the mobile web. Initially, the mobile web was pretty slow and did not display the full internet, only different content that was set up on specific networks designed to work only for certain cell phone companies. Finally, fast forward to today. Cell phones are basically smaller versions of computers, and the internet is almost as (if not more) accessible on our phones as it is on our computers. Smartphone apps give us access to many of our favorite sites, games, etc., without even having to go on the web. One of the last things people do with their smartphones is actually talk on it! Now that we spend so much time on our phones (even if we are not actually talking on them), the opportunity for websites and businesses to market on this platform continues to grow, and will likely continue to become more and more important. Many smartphone users now turn to their phones before their computers when it comes time to look up something on the internet. This means that those companies and brands that have a strong mobile presence will be more likely to get the business of these users, as these companies will get the most eyes on their offers. As more and more people continue to use the mobile web on their phones, and as a generation of people conditioned to mobile web use reach the age where they have income to spend, being in front of these people when they are on the mobile web will become more and more important. Many companies are trying to make sure they have a mobile marketing presence by making sure they have a mobile version of their sites. They have a mobile version in order to attract visitors from this phone. This will be much more important as mobile web use increases. Every website owner should really make sure they have a mobile optimized site, because it does appear very certain that more and more people will be using their phones to access the web. Smartphones are not the only opportunity for mobile marketing. Almost every type of smartphone – iPhone, Android, Blackberry, etc., has a seemingly unlimited number of apps, or applications, designed just for that particular operating system. Many users turn to these apps before they actually even use the mobile web. Why is this important for your business or website? Imagine if a competing business or website has an app on the major phone platforms, and you do not. If potential customers can easily get that app, who do you think they will purchase from first? It is actually getting much easier to develop these apps these days, so if you have the resources, hiring someone to build an app for you may be a great idea! Tablet computing is now starting to change the mobile marketing game as well. With the advent of the iPad and Android tablets, people are now moving away from computers even more. A few years ago, people would have taken their laptops out with them to do schoolwork or work on their latest project at the coffee shop. Now, people take their tablets with them instead. Again, you can see the power of this platform for mobile marketing. If this is where your potential customers are, you will want to be there, too! Typically, if you have a mobile optimized website, it will work on a tablet as well. Also, most smartphone apps will work on tablets as well. These days, many marketing emails get discarded or ignored by potential customers. Text messages, however, get read almost 100% of the time. These days, there are a number of text messaging platforms that businesses can use to reach out to their customers. Customers have to opt in to these programs, so companies usually have to offer some kind of incentives to get sign ups for text messages, and people do not want to be bombarded by messages, but the well placed tweet with an announcement or a discount can definitely drive traffic to your business! 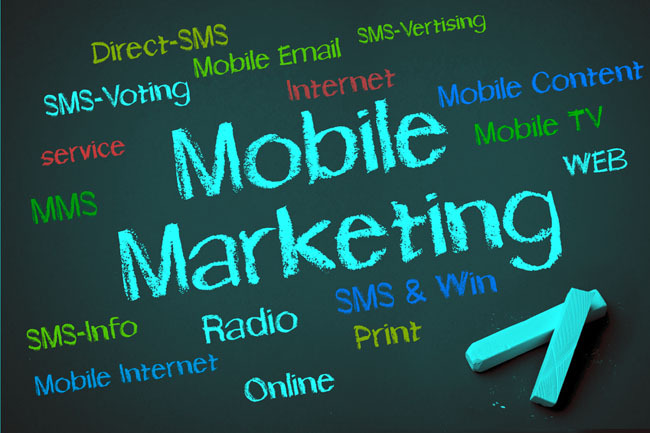 In conclusion, mobile marketing is an ever growing market that will continue to be more and more crucial for companies to gain and keep their market share. As more traditional forms of advertising go out of favor and have smaller returns on investment, companies and websites that make the move to a strong mobile marketing presence will likely see a stronger return and market share than their competitors who choose to keep with the status quo in their marketing methods.